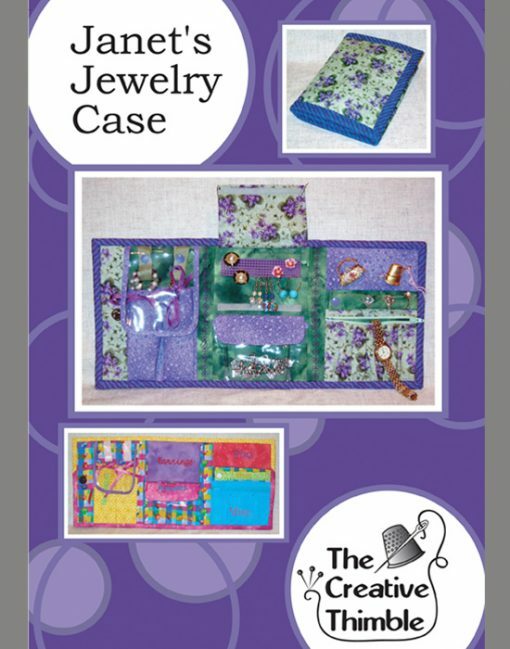 Janet’s Jewelry Case has pockets and compartments for all your jewelry needs. 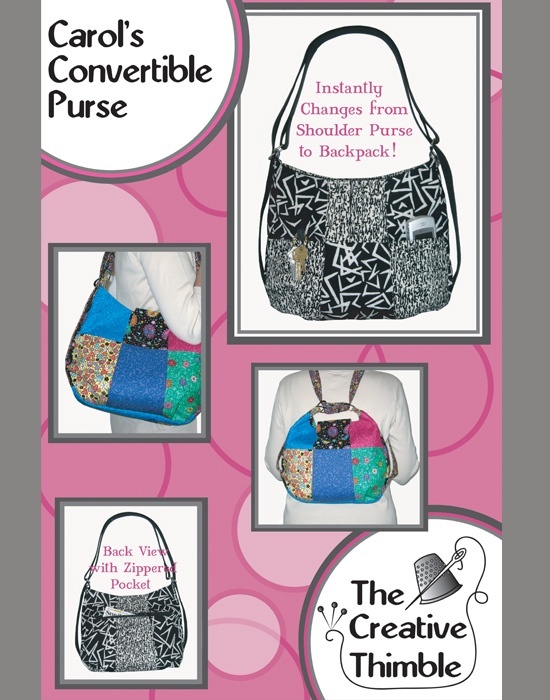 It has 2 pockets for tangle-free necklaces. 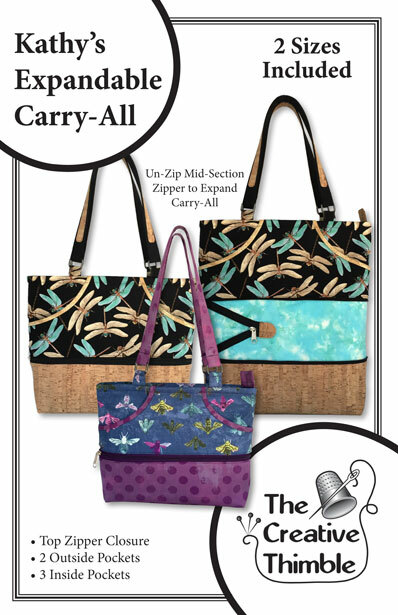 A padded covered section for your earrings. There is a vinyl see-through pocket for bracelets. The case also has a ring holder, an area for pins and a zippered pocket for everything else. 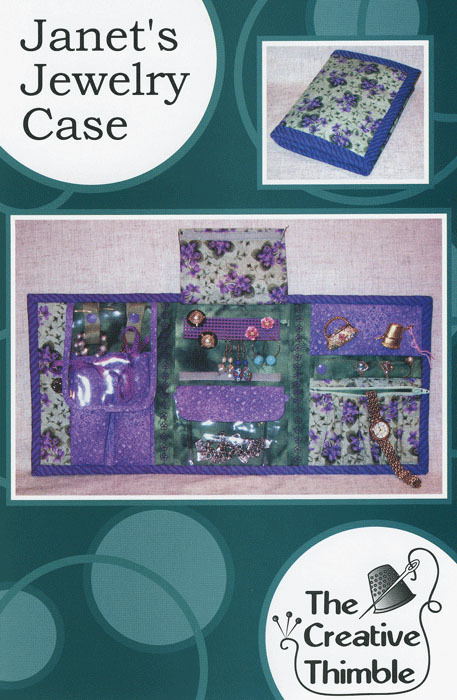 The case closes with a magnetic snap and has plenty of areas that would be perfect for embroidery or appliqué to personalize your case. I made this for my 15 year old daughter’s birthday. She loved all the pockets and bright colors. I would add a picture, but I don’t think it is possible so just look their facebook post from the ASQ Paducah convention 2016. 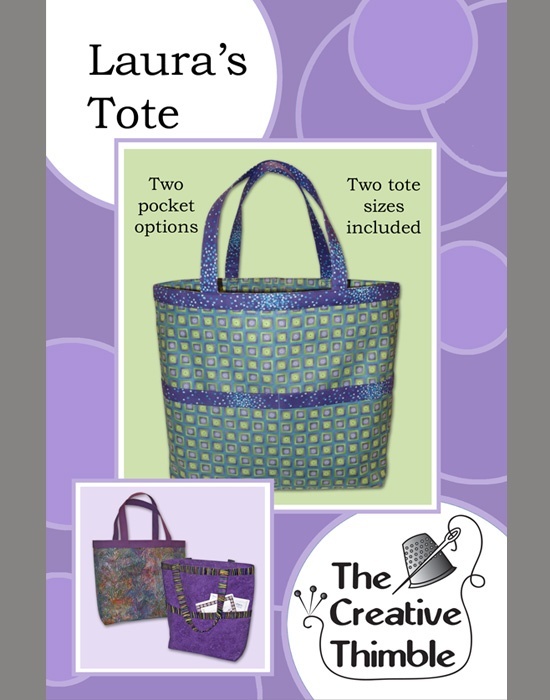 The pattern was easy to use and easy enough to adjust. For example, if you didn’t want a pins section, you could put in another earing section, etc. I loved the way Laura embroidered the names of the items in the sections and I did that too. I used a binding with a flange and it gave it a nice boarder. It does take time getting everything cut out and then keeping track of some of the smaller pieces. My daughter loves it and uses it much more than I thought she would.